We never thought of making a furniture piece for your studio. We wanted to come up with something completely renovated that would help our clients work in a comfortable, efficient and easy manner. Each piece of our desk has been designed to meet with the client’s technical and aesthetaic wants. 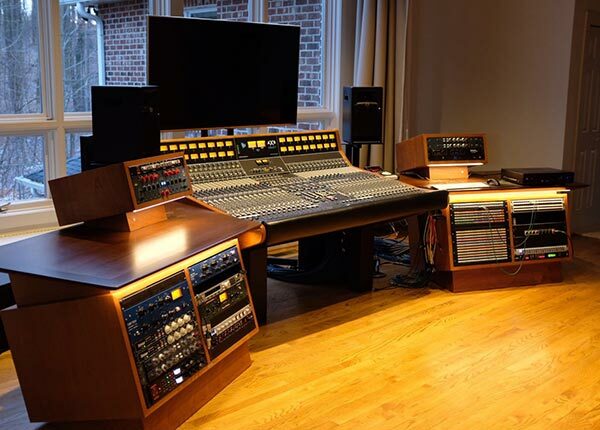 As the center-piece of any studio, the audio desk has comply with the space design flow. At EZ Acoustics, we will make sure we make you enter the world of innovation, excellency and craftsmanship. Feel free to contact our technical support for advisement on what materials to use for your new audio desk. Dimension varies in model provided by client.